Falafel, often considered fast food or street food in the Middle East, is actually a very versatile dish. The classic, fried version is what's typically found but there's no reason it can't be baked. And, apart from the frying, the recipe consists mostly of healthy chickpeas. The base of the recipe also lends itself well to adaptations of different beans, spices or vegetables. 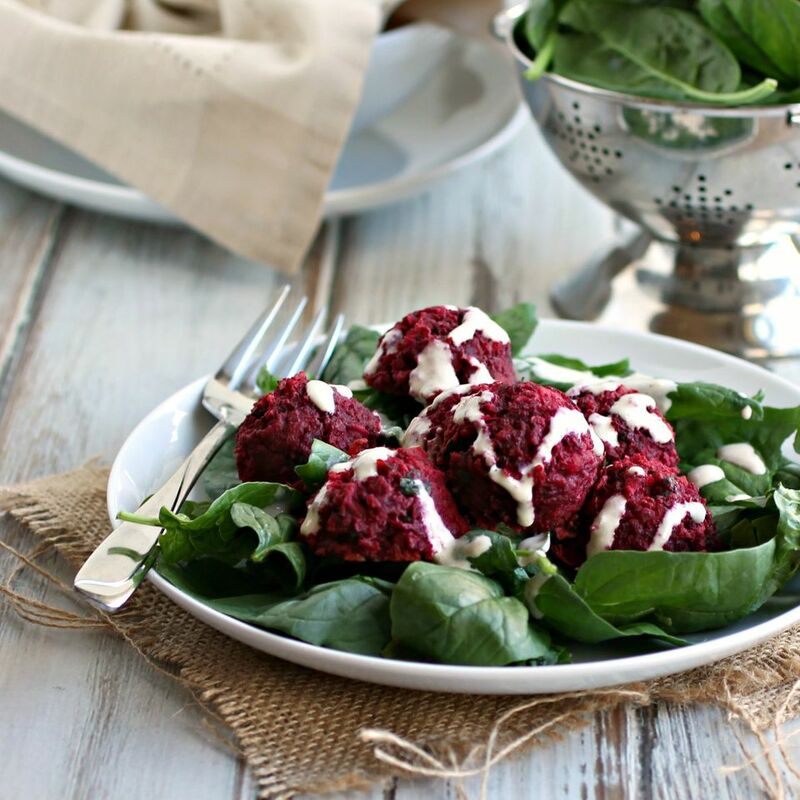 Beets add a sweet flavor and plenty of nutrition. And, if you're baking the falafels, the beet helps to keep it moist. Serve these as a lunch or snack inside a pita with Israeli salad or use them instead of meatballs for a vegetarian meal option. Add the beet, chickpeas, garlic, tahini sauce, flour, parsley and cumin to a food processor. Pulse until the mixture comes together but it doesn't need to be a smooth paste. Season with salt and pepper. Form 1 oz. balls (use can use a scoop) and place on a baking sheet lined with parchment paper. Bake for 30 minutes. Serve over greens, drizzled with tahini sauce. You can also serve this in a pita with salad or over pasta instead of meatballs.